Actually I rather liked this idea. The tear in the canvas was destined to get wider, the creature within would have emerged week by week. The hats were to change periodically - I had a British redcoat’s hat and a crash helmet and so on. The hats would eventually have referred to stories from the Ministry. The monster in the tear is a reference to demon-calling in the Song. BUT the bounce rate from this page was awful. Somehow it does not promise the browser whatever it was they were looking for. But if anyone feels strongly that the macaque should return please go to here and write MONKEY!!! in the comments box. to visit. Oh, it will be entertaining to browse if you’ve anything like my interest in fantasy and science fiction. If you love maps and chronologies, tall tales and spurious history read on. the pages you see here, this is the place to let it all out. the lyrics for a fantasy musical. 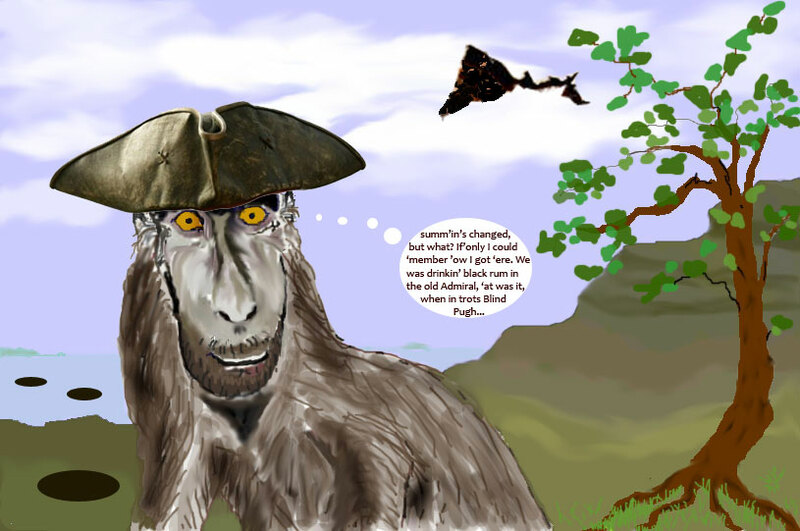 Monkeying Around - this page has a couple of entries that explain what on earth I think I’m up to producing a site like this. Blogging Around is the blog proper. I’m hoping I’ll occasionally come up with something worth reading here - and that I’ll manage to avoid sounding like an arrogant, opinionated curmudgeon when I do. Eventually this site may become a destination for lovers and creators of fantasy art - click to find out how that may come to be. FRIENDS - fairly obvious: this page will be populated with links to Fantasy sites, artists sites, friend’s sites, poetry sites, writer’s sites. Maybe even your site! The Library Blog - may not have pages for some time. This fictional blog will be written by residents of The Library. 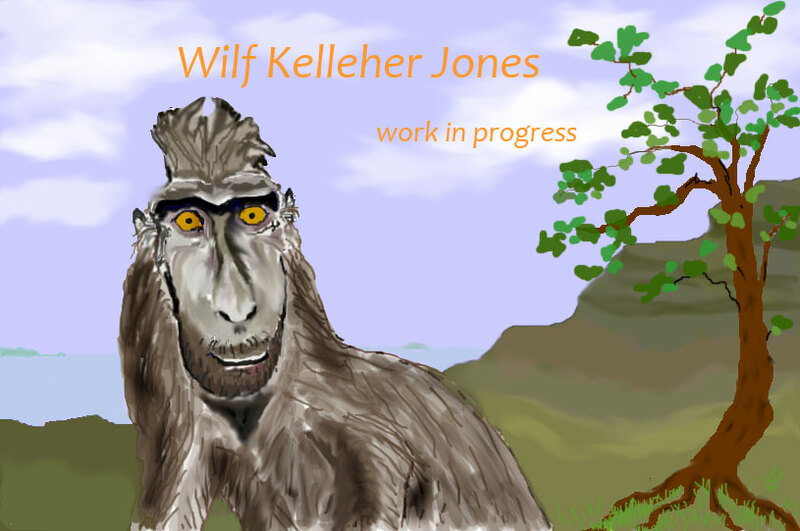 It will reveal the grand scheme behind all the WKJ fantasy novels. to reciprocate if you have a project in hand yourself. The Song is a three volume epic fantasy concerning the Return of the Exiled and the War with God. It’s the story of Seama Beltom�, a man obsessed with fighting the good fight, soon to be pitched into the ultimate battle with the source of all evil. A tough call - but he thinks he can win! at the root of everything he has to contend with. The material posted here provides some of the historical and geographical background to The Age of Final Hope. The Episodic Chronicle describes the rise and fall of civilizations upon the continent of Asteranor. It reveals the influence of the Magi - True or Black or Blood - in the making of Seama’s world; it traces the curse of the Gift of Ah’remmon through all the generations. All without giving you too many spoilers of course. The geography of Asteranor in particular is expressed in the form of maps - political, historical and topographical (the latter soon to appear). When I’ve figured out how to do it, there will be dynamic pages giving you the journeys of the key characters, with flash points of action linking to sections from the book. May take me a while. The glossary is intended as a quick reference for anyone reading the book itself. Clearly, a fantasy novel cannot be properly introduced merely by providing incidentals - no matter how extensive. The Preview pages give you the opportunity to discover whether or not A Song of Ages is a good read. I will post consecutive selections from Part 1 of the first volume: The Best of Men. To keep it fresh, though the Prologue will be ever present, the chapter selections will move on every month. For the latest entry click New. That’s all. Hope you enjoy it.